Grissom's Oilfield Services strives to provide excellence in all of the services we provide, because "All Swabbers Are NOT Created Equal". Hydraulic Swab Rigs- State of the art rig that the operator more control and information. Load weight over Line weight- Operators are highly trained and have more information to make good judgement calls. Counter on Crown Sheave- Displayed in the operators cabin. Giving the operator a continuous Display of Depth. Accurately find and report fluid level depths. Accurate to find crimped joints and tight spots. And to return to that spot each run. Identify each tight spot during The Broach runs. Accurate to find SN Depths or stage lift depths. We swab by load weight, not just footage, enabling us to safely get more fluid each run. Accurate rate of decent displayed: improves efficiency, assures fluid levels are located at a safe speed. Accurate measuring of fluid loads top and bottom: Improving swabbing efficiency getting just the right load each run. Weight Indicators- Allow us to weigh each run. This reduces the risk of over loading and leaving tools in the hole. We are able to tell scattered fluid easier. We identify potentially difficult situations quicker. With better information the operator can make the right corrective actions. We provide plunger lift sales. Our focus on relationship and serving our customers, allows us to provide plunger lifts quickly. We perform plunger lift servicing and repairs. We make sure that our employee are trained and precise in their assembly of our plunger lifts. Reporting- We know that your time is valuable, so we make sure that you have the information you need sooner. Excel Spreadsheet Reports- We email our reports so that you can have have the information you need for your reports sooner and easier to us. Text Message Communication- We make sure that as soon as we know something so do you. Climate controlled Operators Cabins- By putting our operators out of the weather eliminates our need to shut down due to inclement weather as often. Cabins keep Operator and Swamper out of harms way, away from swab line dangers and well head dangers. There is also room for the Company man to watch operations in the comfort of the rig cabin. 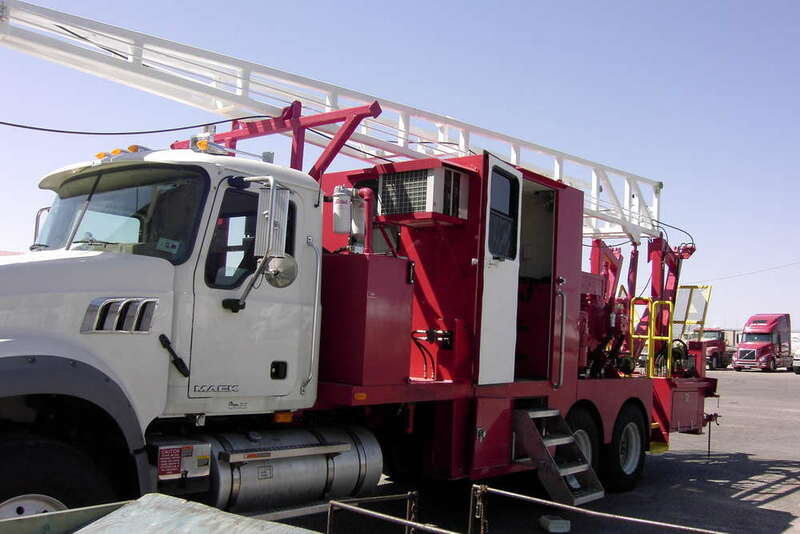 Safety Equipment- We have Blow Out Preventers on every rig. H2S Equipment on each rig we have personal monitors, rig monitors, and SCBA. Remote Slobber Trailers- protect the environment as well as vent well gas at a safe distance away from the well and crew. They allow was to unload fluids on location to the flow line without a third party truck.